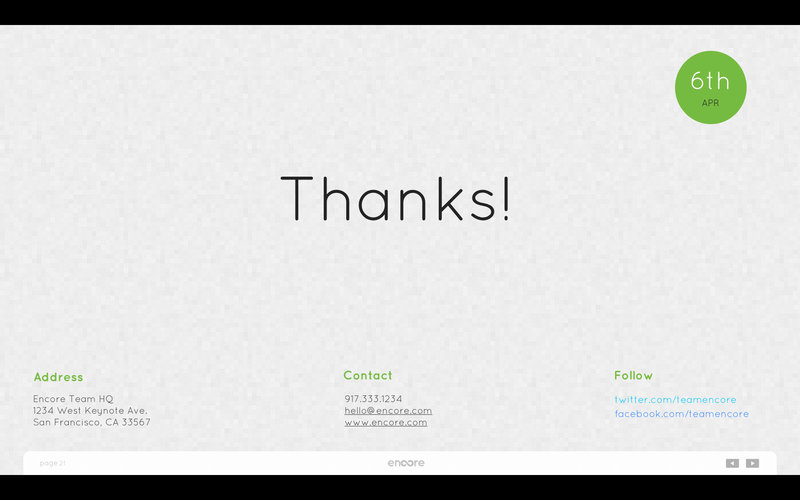 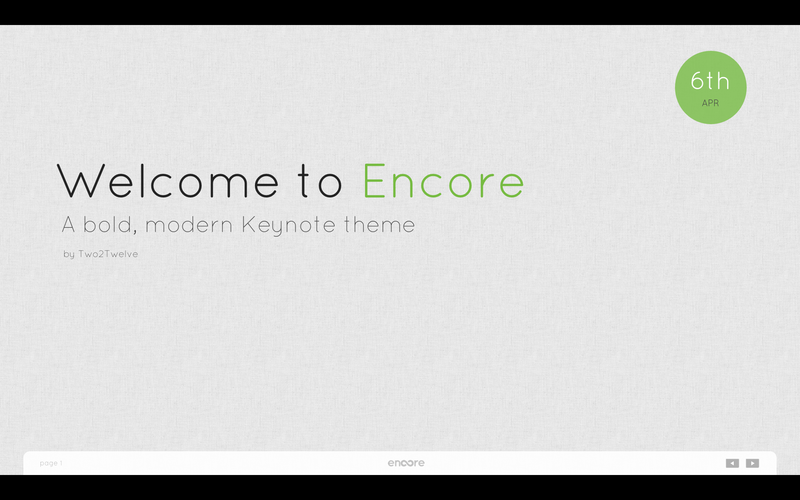 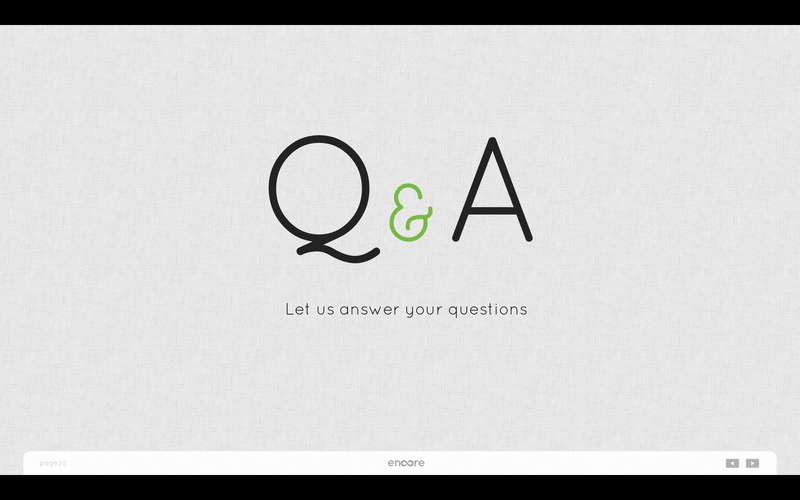 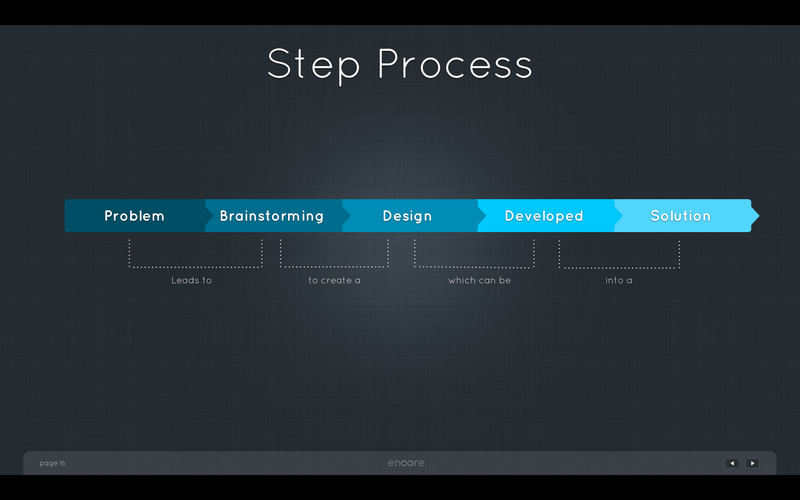 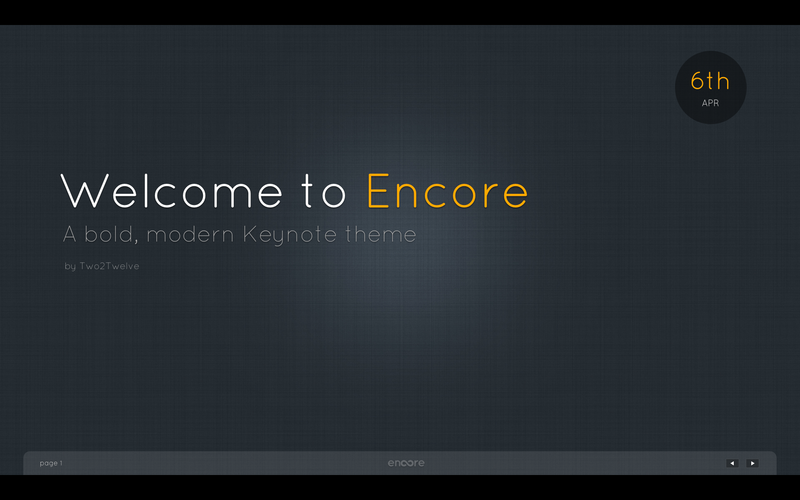 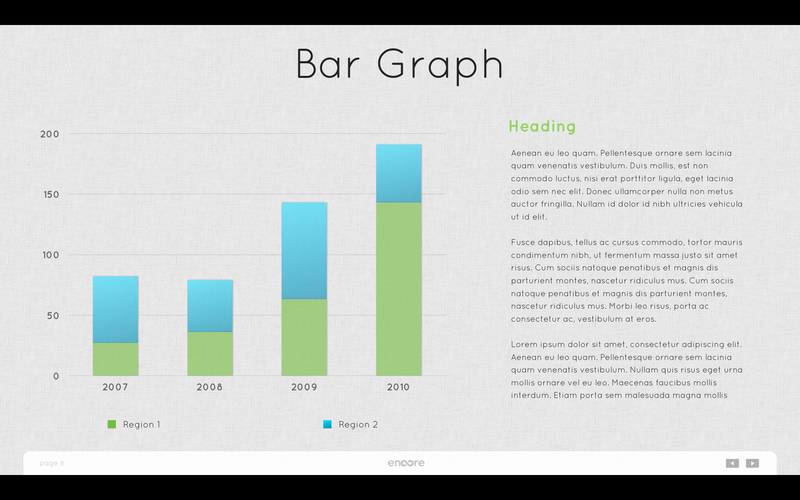 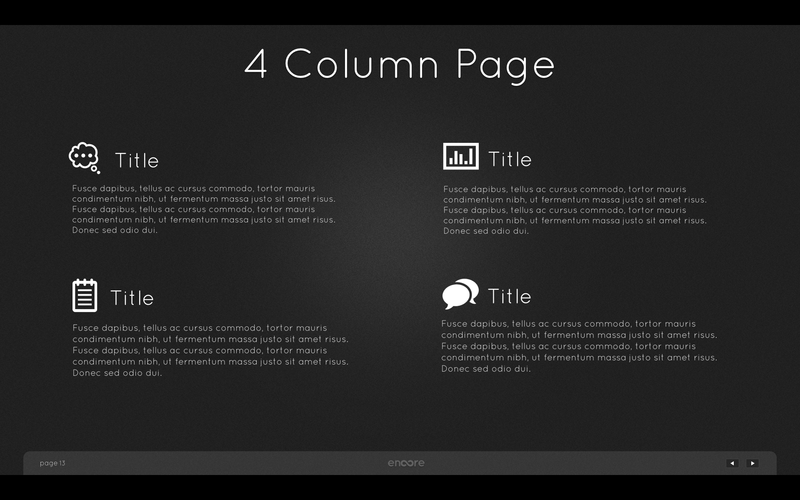 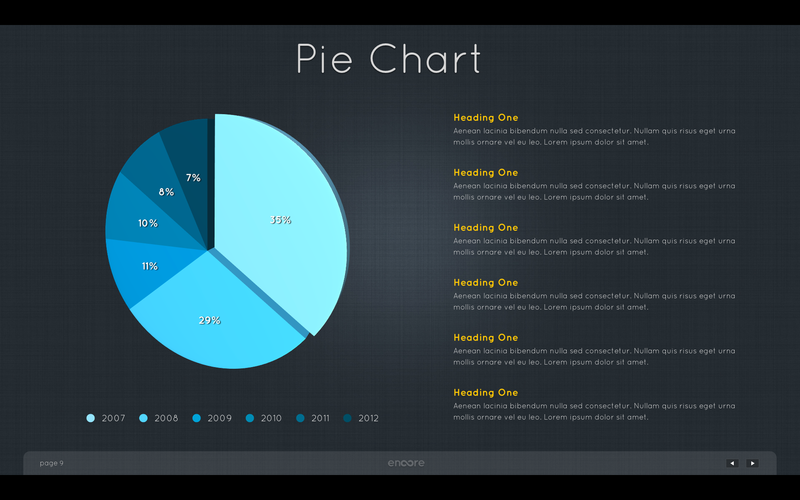 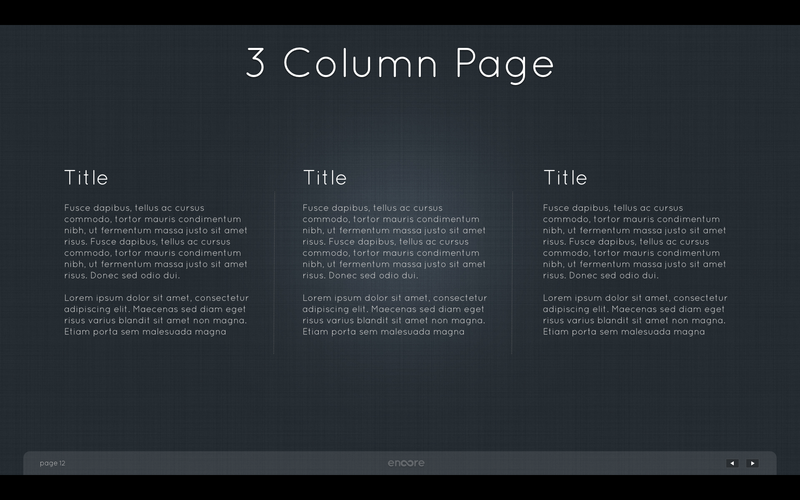 Encore is a bold, modern template for Keynote ‘08, ‘09 featuring 4 theme styles (2 light and 2 dark versions) each with 21 unique and easy to customize slides. 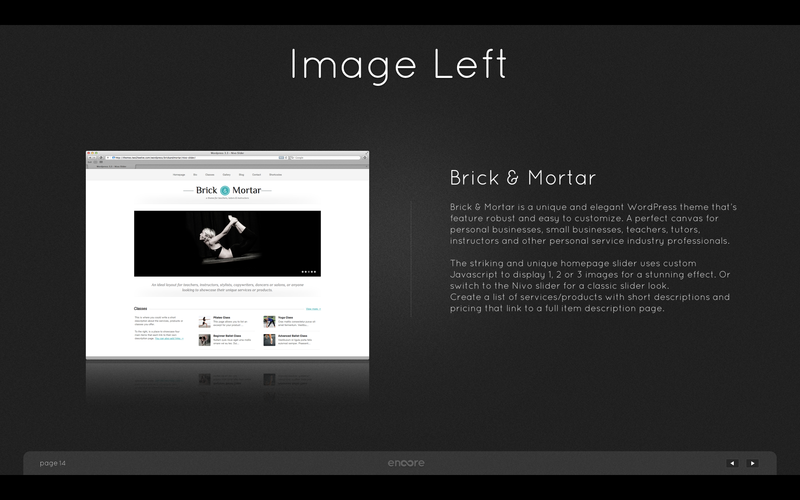 Complete with dynamic animations and transitions, placeholder text, images and video, footer navigation and a demo soundtrack this template is ideal for live or recorded presentations. 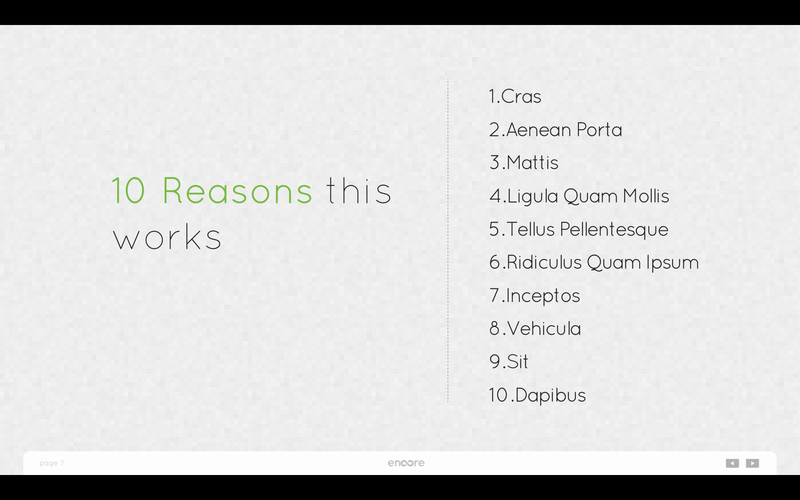 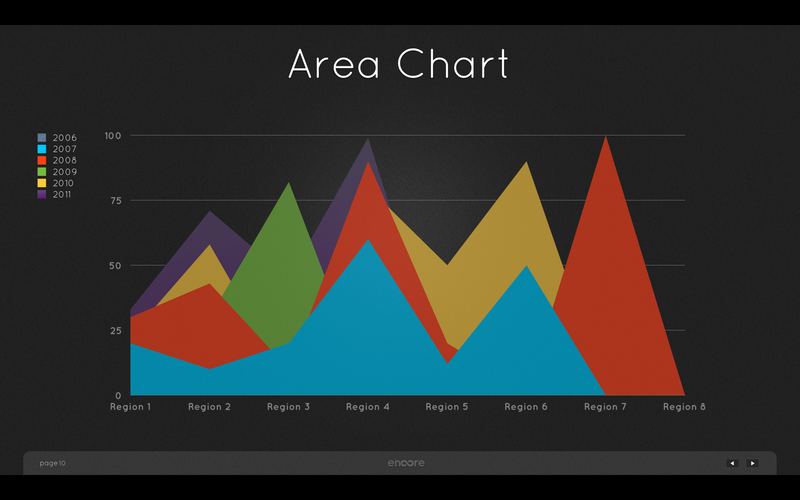 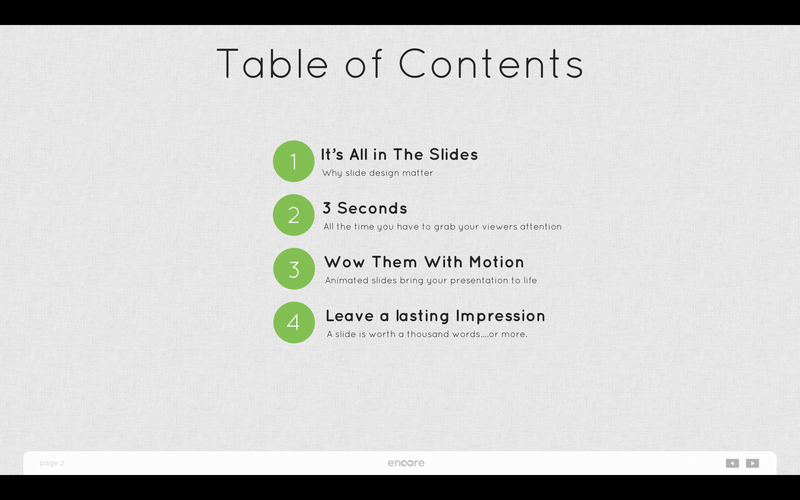 Mix and match elements to create a striking and unique presentation in minutes!